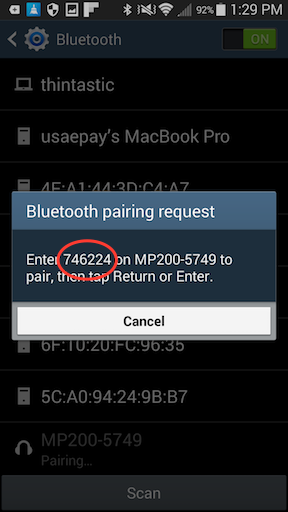 The following steps must be followed to pair the MP200 with the iOS device. 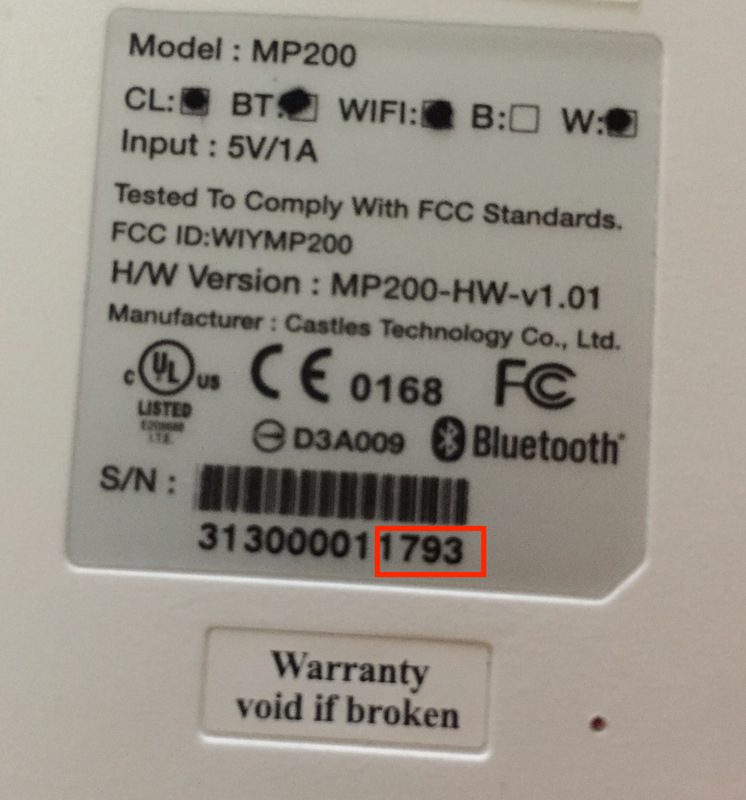 Note: If the Castles MP200 device is to be used with multiple phones/tablets then the MP200 device must be unpaired from any unused mobile devices. 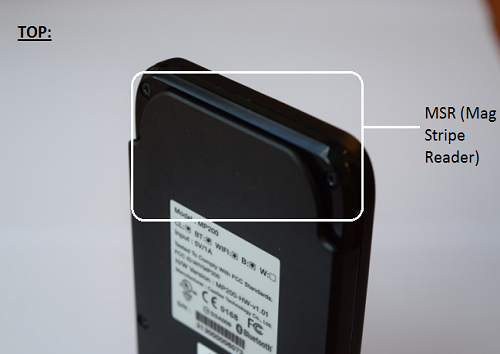 If you have multiple MP200 devices, find the last 4 digits of the S/N (serial number) on the back of the MP200. See below. In our case, we would select MP200-1793 from the iPhone/iPad. 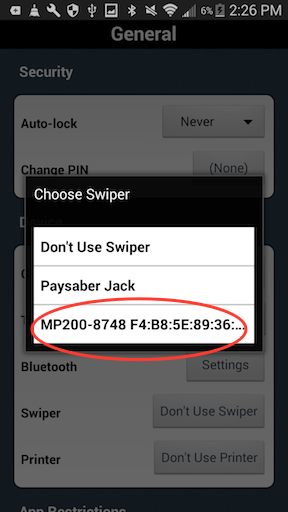 Once the device connects to the MP200, a PIN will pop up on the mobile device screen. See below. Enter the pin into the MP200. 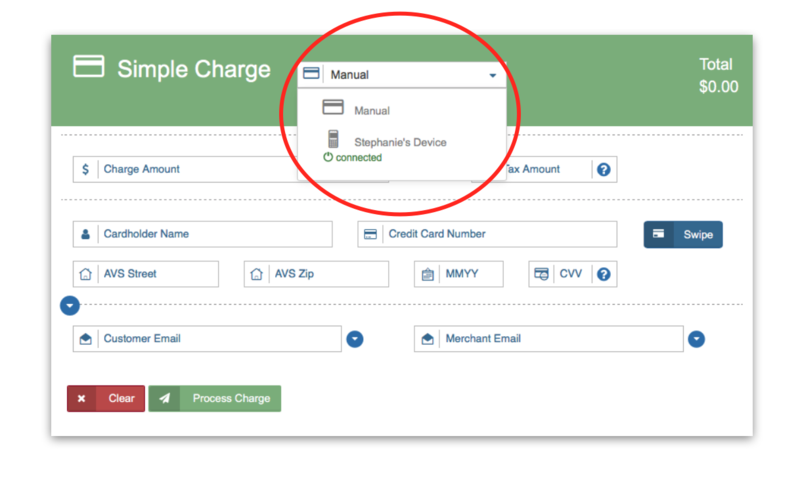 Wait until the MP200 displays a green check mark and "OK." On your phone/tablet you should see the MP200 is "Connected," as shown below. 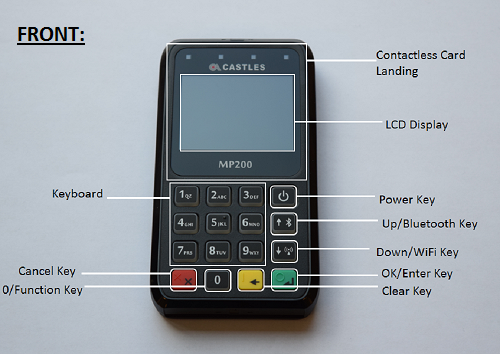 On your Castles device, press and hold the Bluetooth button until a message on its screen instructs you to "Enter Bluetooth pairing PIN"
If you've successfully paired, the Castles device's name will appear the sub-category "Paired Devices"
You'll see a dialog appear that reads "Determining Merchant Capabilities..." By using the Castles MP200 device for transactions you will be able to set your Terminal Configuration depending on what capabilities you have as a Merchant with USAePay. 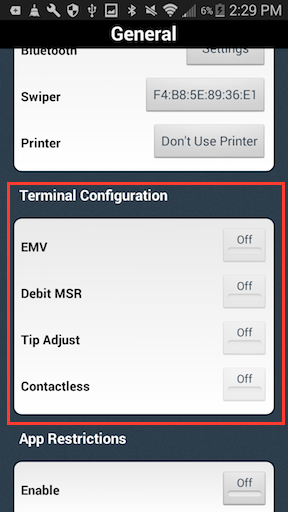 By completing the previous step, you now have the option of setting your Terminal Configuration depending on your merchant capabilities. A "Terminal Configuration" section should have appeared on the page. 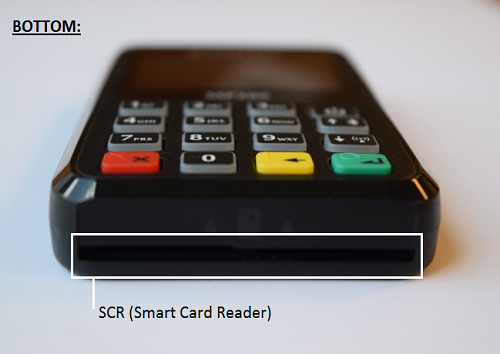 Here you will find four options: EMV, Debit MSR, Tip Adjust, and Contactless. 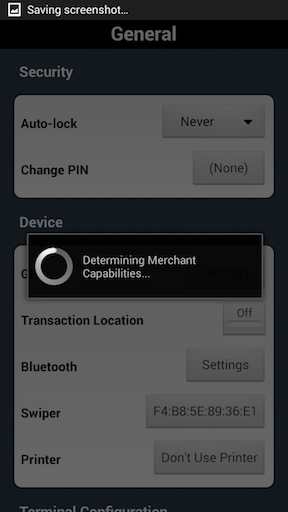 If, as a Merchant, you don't have one of these capabilities, the toggle button for that capability will be greyed out and you won't be able to set it. All capabilities you do have, as a Merchant, will enabled for you to set. 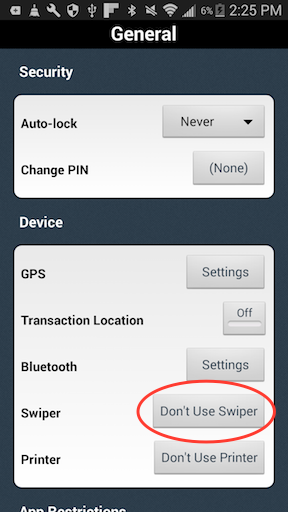 Simply toggle the option on and that will enable the feature when running transactions. On the MP200 device press and hold the Wi-Fi button until you hear the second beep sound. You will then be shown a list of available Wi-Fi networks that are in range of the MP200. When completed, give the device around thirty seconds to connect with the Wi-Fi network. 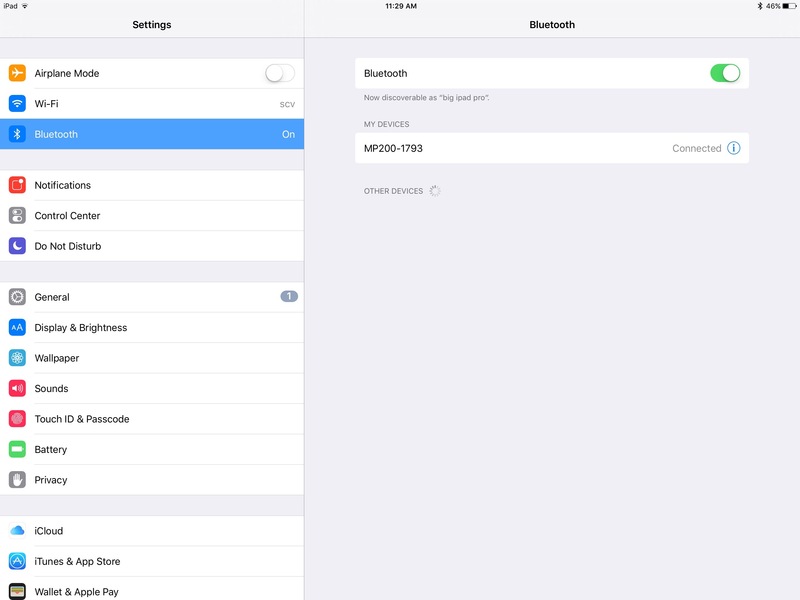 The Wi-Fi indicator will change from a Wi-Fi symbol with an exclamation mark to showing the Wi-Fi signal strength. 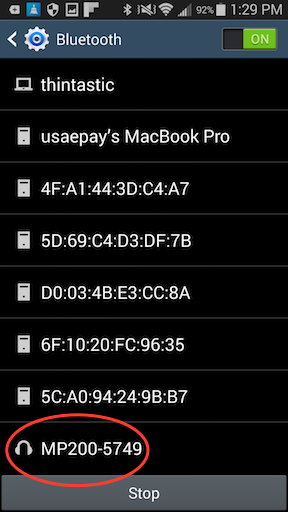 A source key must be added first to connect your device (CASTLES MP200). 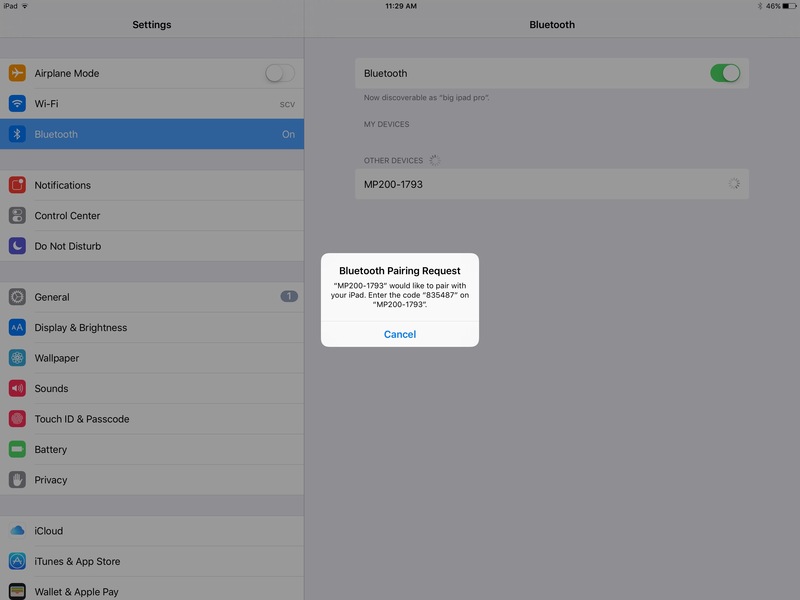 Go to ‘Settings’ from your side menu bar and then select ‘API Keys’ on the drop down menu. Click on 'Add API Key' to add a new source key. 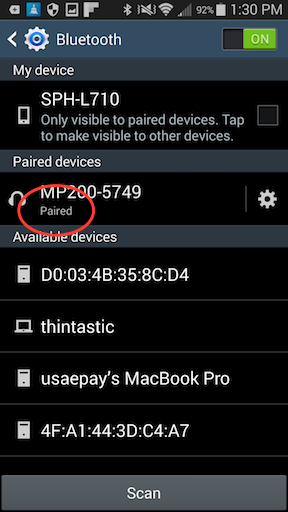 Once the pairing code has been entered, your device should be connected. 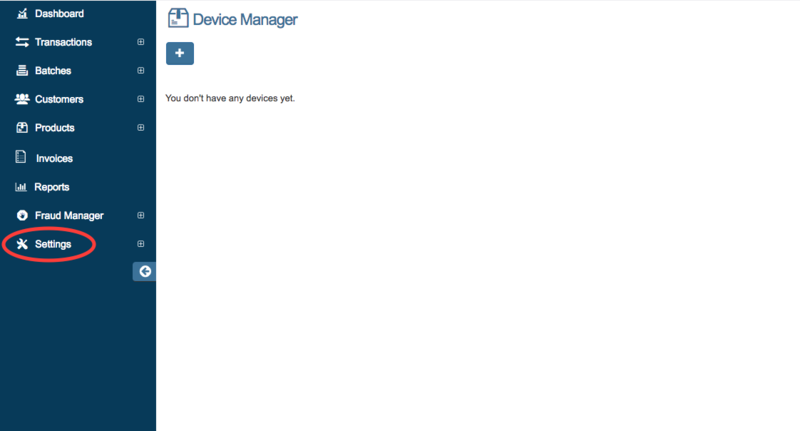 The green icon in the top right of the box indicates that the device is connected. Signature capture is only possible on the MP200L model with the upgraded touchscreen. 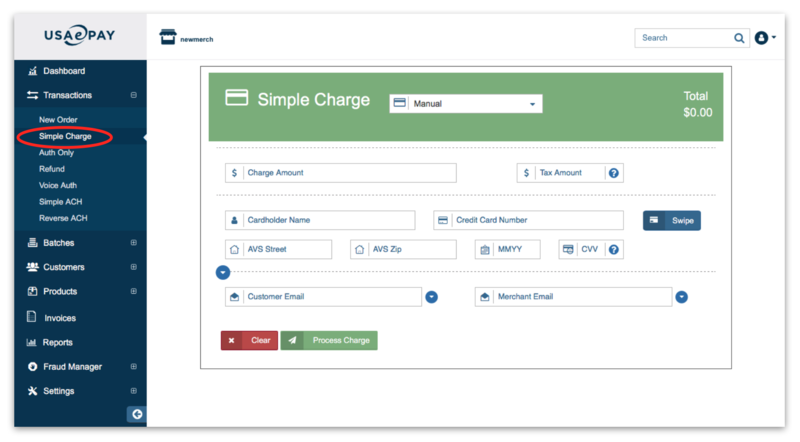 This option will appear on New Order, Simple Charge, and Auth Only screens in the console. This is what the signature screen will look like on the MP200L. 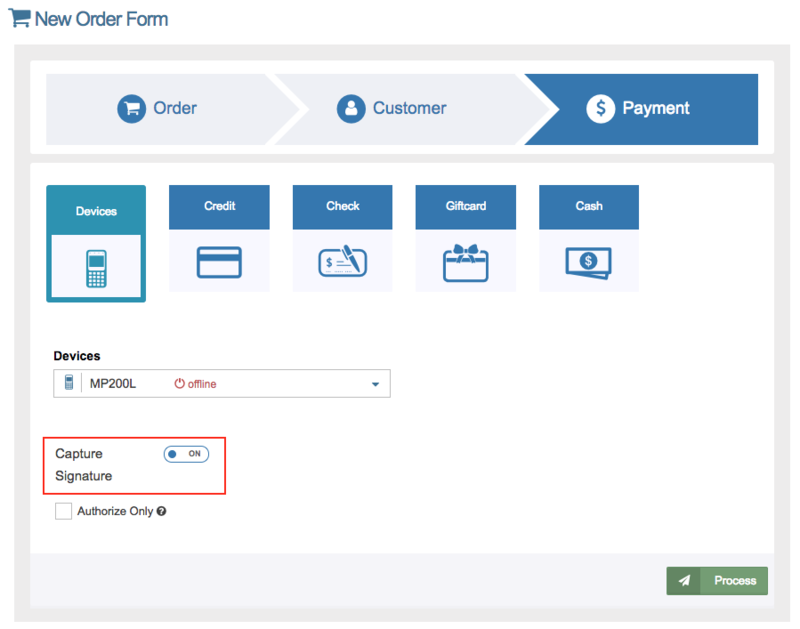 After the customer is finished signing, press the green OK button to confirm the transaction.